I don't think it is just my kids who love hitting each other with sticks: wooden sticks, plastic sticks, metal sticks, oh wait those would be swords. But they do enjoy fighting with foam sticks. That's right foam sticks also known as pool noodles! Pool noodles are a much safer weapon for pretend sword fighting, but when left in their original form they are big and floppy and a bit more difficult for kids to fence with (not that it stops the kids). 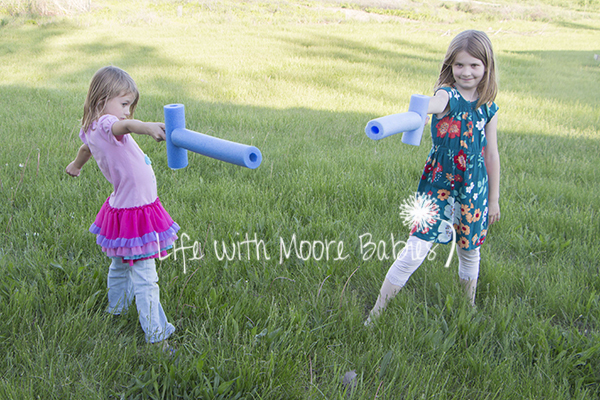 So for our little fencers, we made a much easier to handle Pool Noodle Sword! Still safer them wooden or plastic sticks, but easier to wield than a large pool noodle. 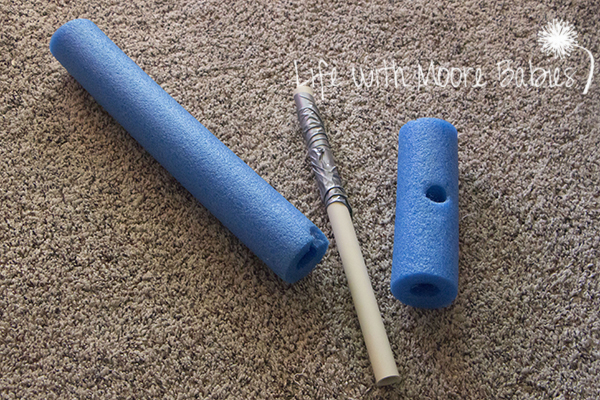 To start, you want to cut your pool noodle (a simple serrated knife works for this). One piece will be about 8 inches long and form the cross guard of the sword; the second piece needs to be between 1 1/2 and 2 feet long to form the blade. You can choose the length based on the size of your child. You will also need to cut your PVC pipe, so it goes at least halfway up the blade, completely through the cross guard, and leaves a handle to hold on to. Again you can just measure it with the size of blade you make. I think ours was around 2 feet long (so similar in size to the blade). Next, locate the approximate center of the smaller piece of pool noodle and use the PVC pipe to poke a hole all the way though. Now you need to wrap the top half of the PVC pipe in duct tape. Not smoothly either; this is what keeps the pool noodle from flying off! 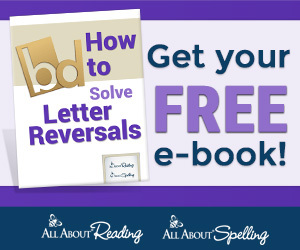 Now that you have all your pieces prepared, you just have to slip them together! To assemble you put the blade on over the duct tape and then slide the cross guard on underneath. Simple. Now you have a sword. You can now send the kids out to fight play with their new Pool Noodle Swords! Fencing is pretty near and dear to my heart. You see back in college, after a nasty break up, I decided on a whim to take a fencing class which led to joining a fencing club which led to my husband! That's right, we met in a college fencing club. We both enjoy the sport, and if there is a chance to share it with the kids we take it! 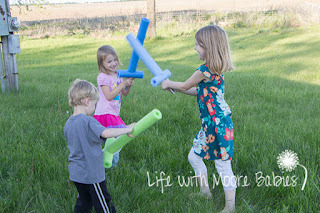 So these little toy swords allowed me to introduce me kids to a couple basic ideas without all the extra gear real fencers need after all those metal sticks hurt. Their fencing stances have greatly improved, but I can't say they follow the rules much when actually playing. 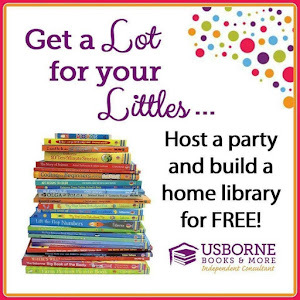 Maybe they will have an interest in learning more in the future (here is a good place to start if you want to learn more now). Safer than a wooden, plastic, or metal stick. If the foam gets worn it can easily be replaced. A great way to introduce fencing technique! Obviously, when playing with these you still want to warn kids not to hit towards heads and faces! Since the PVC pipe only goes halfway the top is just pool noodle, but without protective gear, I would still warn against hitting around the head. 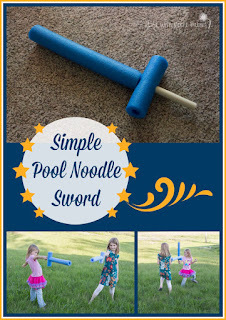 My kids love these little swords so much we have already had to replace the pool noodle. Get your kids active and introduce them to the sport of fencing, without the metal sticks, by making them their own Pool Noodle Sword!